The Last Leaf Gardener: It's Lame Duck Day! Once upon a time, on February 6th in 1933, the 20th amendment to the U.S. Constitution went into effect. This amendment addressed presidential succession and this, dear reader, is the origin of one of today's holidays: Lame Duck Day. 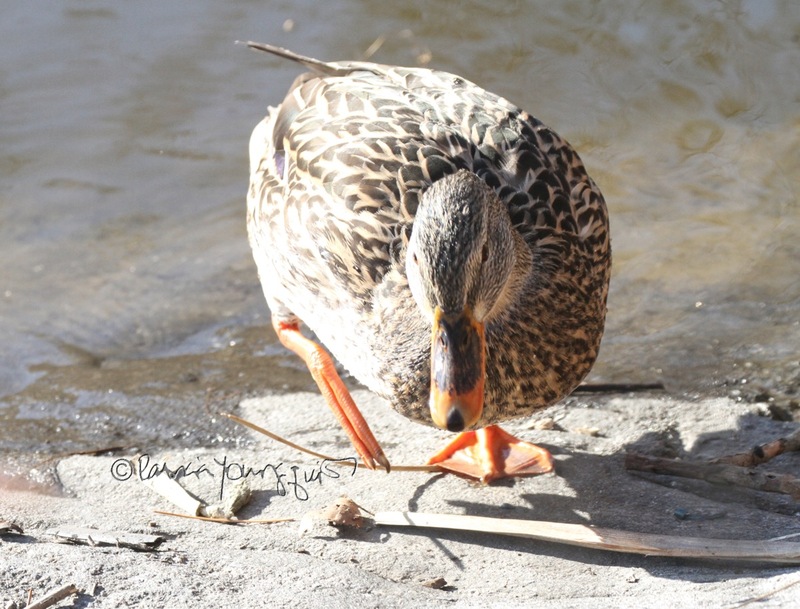 Here's what Holiday Insights (HI) has to say re this event: "Okay, so you are probably thinking that a 'lame duck' is a duck with some sort of injury," which this female duck seems to have on her right foot. I saw her the other week in NYC's Central Park, and I've made a number of queries as to what might've happened to her foot. As of this posting I don't have an answer re this duck's health, but, I do have some information re Lame Duck Day. HI states that, "'Lame Duck,' by human, definition is a person who is in a position of some kind, and will soon be 'shown the door.' (And that) "the best example is an incumbent politician who lost in the November elections. They usually remain in office until the beginning of January. It also applies to leaders, managers, etc, who are retiring or whose term of office is up." Moreover, they proclaim that "During the interim period, a Lame Duck is usually far less effective, and frequently ineffective. After all, loyalties will soon shift. It's impossible to rally the troops to one more cause or project." do not appreciate their creature's type being associated with the term, lame duck! As you can see, this one, went so far as to give the sign of giving the finger upon hearing the terminology! HI is a little more optimistic re this matter and suggest that "If you are a Lame Duck: Enjoy those final days. Reflect upon you successes, and the joys and rewards the position provided to you. Kick back a little and have some fun today, and in the remaining days. (And) If you know a Lame Duck: provide recognition and support. Non-supporters can cut the Lame Duck a little slack today. They will soon be gone. (But) If you are a duck and you are lame, seek medical attention," which I hope will be given to the duck I referred to early on within this posting!